A well-designed board game can make nearly any endeavor a fun and engaging gameplay experience. Sure, there are games where you endure monstrous onslaughts (Castle Panic!, Dead of Winter), cure outbreaks (Pandemic), escape dungeons (Welcome to the Dungeon, Escape: The Curse of the Temple), and conquer rival civilizations (Small World, Risk). But there are also games where you manage a farm (Agricola), grow bamboo (Takenoko), run a newspaper (Penny Press), or build a stained glass window (Sagrada). Your goal doesn’t have to be earth-shaking to be worthwhile and engrossing. And there’s a game currently seeking funding on Kickstarter that fits the latter pattern. You might not be slaying dragons or toppling empires, but you will definitely be in for the fight of your life. The game is called Ad Quest, and I think you should give it a look. 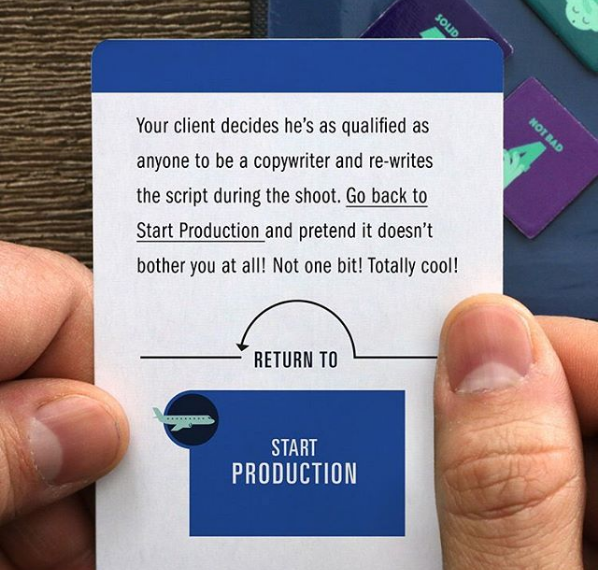 Ad Quest places you in the shoes of an advertising creative team. You’ll conceive your ideas, deal with clients, test your ad, produce it, and polish it until it’s a shining example of your work, fit for your portfolio. 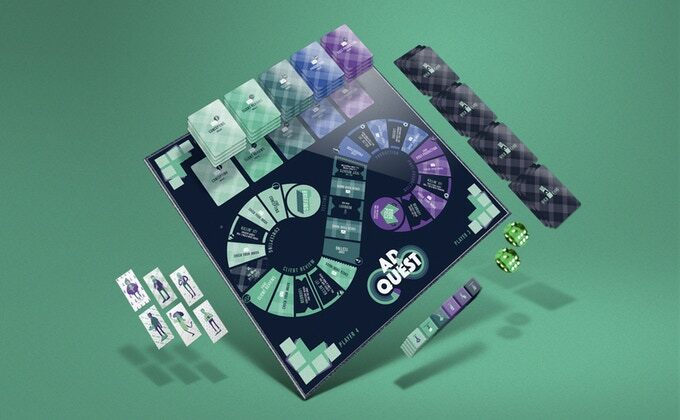 Designed with a razor-sharp wit and a potent dose of cynicism, Ad Quest creates a challenging and entertaining gauntlet for you and your fellow players to run, peppered with obstacles like focus groups, rogue clients, and celebrity meltdowns. The game board is sleek, the cards are wonderfully designed, and the game strikes an elegant balance between real-world frustrations and clever design, ensuring that you’ll be kept on your toes throughout the entire game. 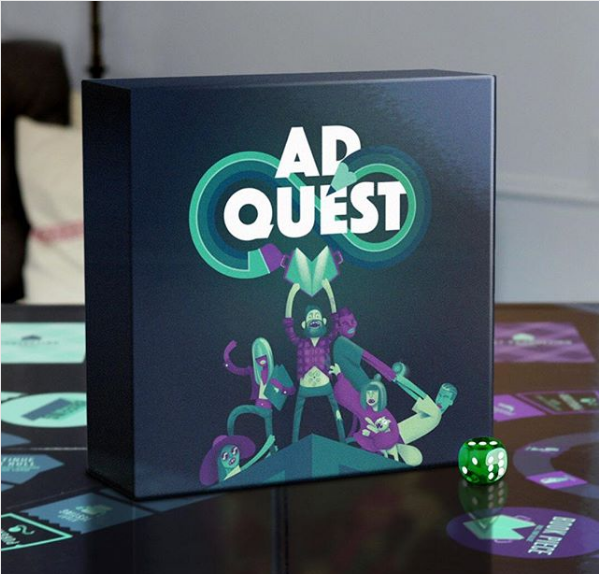 You can check out the Kickstarter campaign here, and be sure to follow the Ad Quest Instagram account for more details, pictures, and behind the scenes glimpses into the game and design process. Additional details can also be found at adquestgame.com. I think creators Adam Samara and Michael Camarra have a real winner on their hands here.